ACH CBP Duty and Tax Payments | BDG International, Inc.
A well run import compliance program includes taking full advantage of US CBP (Customs Border and Protection) programs designed to improve the ease and management of duty and tax payments. The programs include the ACH (Automated Clearing House) electronic bank transfer of duty and tax payment and PMS (Periodic Monthly Statement). 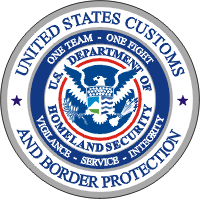 68% of duties and taxes collected by CBP utilize the ACH and PMS programs. When an import is made into the U.S., the duties, taxes and fees are due to Customs within 10 business days of the release date. PMS allows the principal to pay duties, taxes and fees on the 15th business day of the following month for shipments released on the prior month. For Example: If your shipment is released on August 1, 2017, duties would normally be due in 10 business days on August 15, 20017. Under PMS, your duty payment would not be due until the 15th business day of September which is September 24, 2017. You have just gained a float of 40 days! Let’s say your shipment is released on August 31, 2017. Duties would normally be due on September 17, 2017, ten business days after the release. With PMS, your duty due date is September 24, 2017, one week later. BDG can assist in the activation of PMS program for your business. The completed ACH Applications form should be sent to the CBP ACH contact listed at the bottom. Once approved a payer unit number will be received. Provide that information to BDG. At that point the payment program is not yet activated. BDG must activate the payment method within our system. We can turn this activation on and off as requested. Your application will require up to 15 days to process.